The charger you have been waiting for. Easy to setup and use. Easy to read backlit display. Flexibility to setup all channels at once, or to program any channel with any function. Any battery AA AAA. Charge them, Discharge them, Refresh them, Test them. Even internal resistance. This charger does it all with ease. Once you use this charger you will wonder why it took so long to get here, makes other chargers obsolete. * Four indepentent channels can be programmed as group or individually. 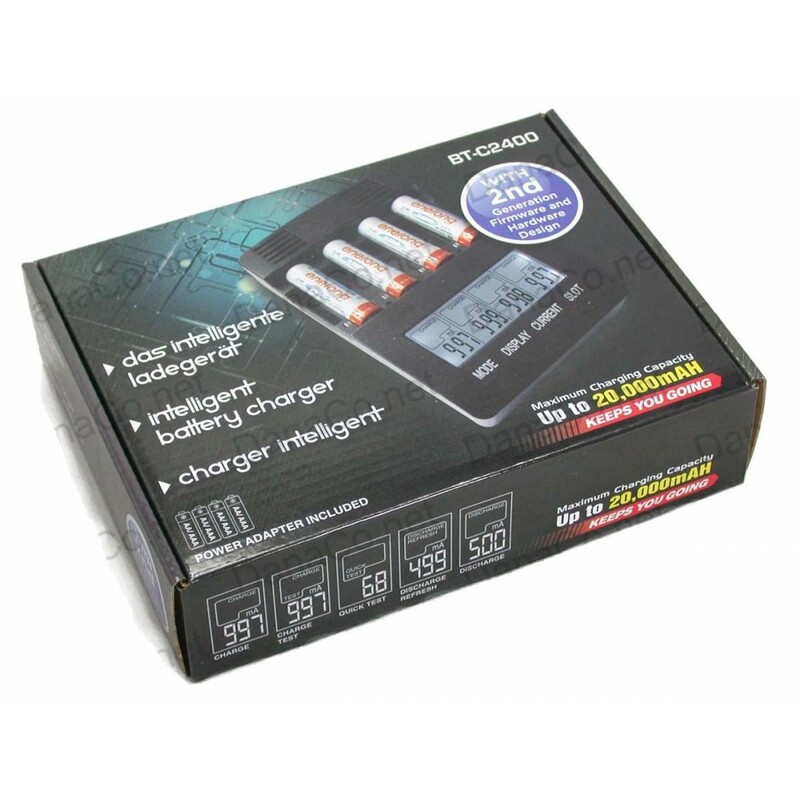 * Charge, condition and analyze one to four AA or AAA batteries. 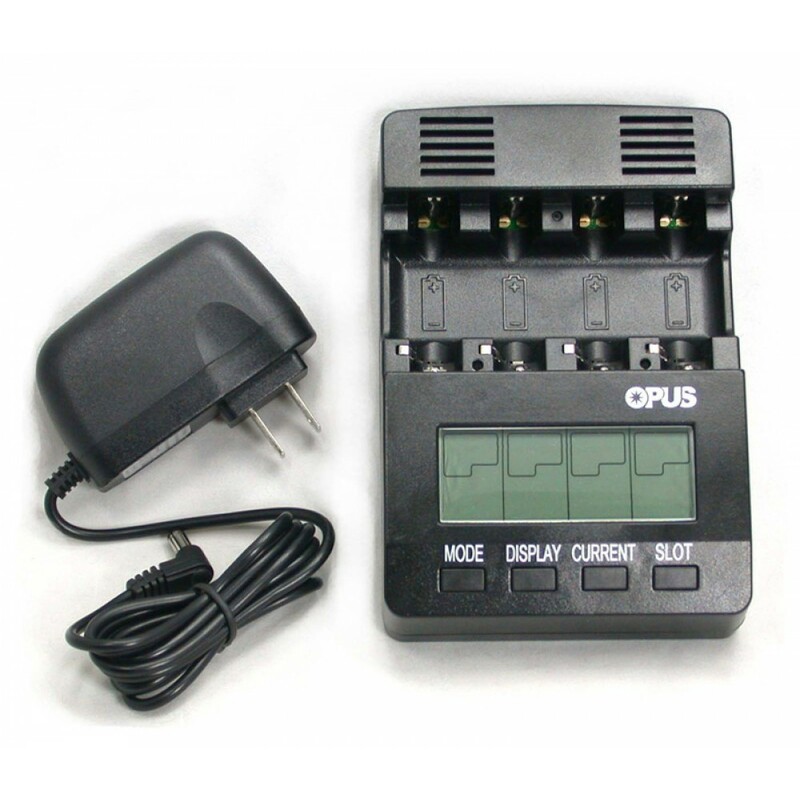 * Charge, condition and analyze one or two C and D batteries (optional adapters required). * Charge, condtion and analyze NiMH and NiCd rechargeable batteries. * Test internal resistance for any 1.5V battery including Alkaline. 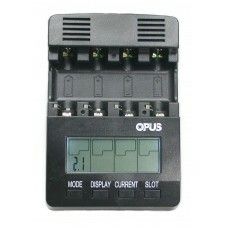 * Easy to read large Backlit LCD display. * Digitally displays capacity, voltage, time elapsed and current. * Negative delta V (-dV) full charge detection. * 16 bit Delta-Sigma Analog to Digital Converter. * Four independent thermocouples to manage battery temperature. * Two independent thermal monitors for the charger circuits. * Second Generation optimized charging circuits and firmware. * 12V input powered and can be powered by an optional car adapter. * Worldwide voltage switching power supply. * Rugged construction with extensive ventilation for the batteries. Operating voltage 12Vdc. 10V minimum, 16V maximum. Adapter Power Supply input: 100 - 240 VAC, 50 -60 Hz. Adatper Power Supply output: 12Vdc 1.0A. Charge current: maximum 1400 mA, 200 mA increments. Default charge current 400 mA. Discharge current range up to 500 mA.